"Home of North America's largest collection of Fresco paintings". Sunday Tours: April 20th -December 25th General Admission $10.00 Seniors and Students $8.00 Children 4 and under Free. 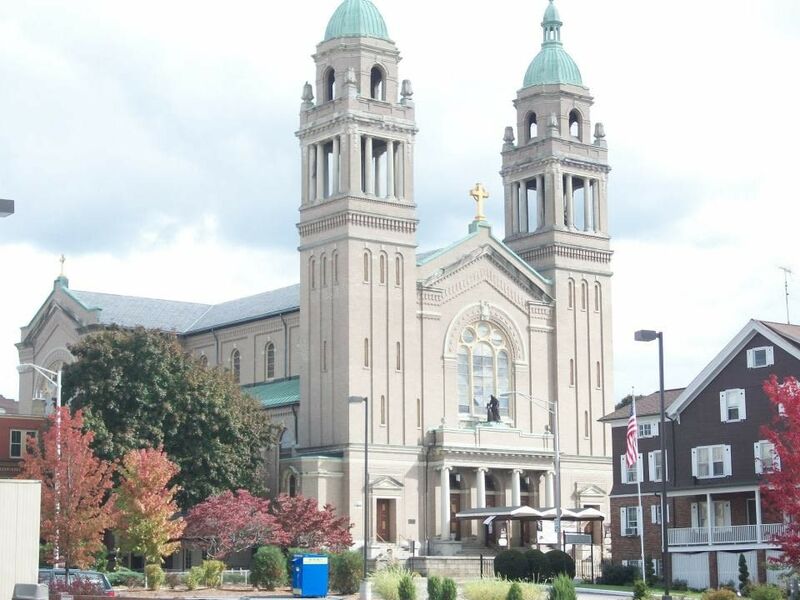 The St. Ann Arts and Cultural Center is a non-religiously affiliated, non-profit corporation dedicated to the preservation and restoration of the former St. Ann's Roman Catholic Church building located at 84 Cumberland Street, in Woonsocket, RI. St Ann Arts and Cultural Center is a Nonprofit 501(c)(3) and Public Charity 509(a)(2) organization. The Center's mission is to develop multiple venues of adaptive reuse for this endangered and irreplaceable, artistic and historical asset, thereby ensuring its preservation while creating a wonderful resource for the surrounding communities. The St. Ann's Church was built between 1914 and 1917 by French Canadian immigrants to serve the religious & social needs of the community. Built in modern French Renaissance style, the building exhibits all of the rich classical details of Romanesque architecture. In the 1920's, over 40 stained glass windows, designed and produced by French artists, were installed. The interior walls, vaults, and ceilings of the church were completely covered in fresco paintings by Guido Nincheri, a native of Florence, in the style made famous by Michelangelo and Raphael. In many ways, the themes and extent of the paintings are reminiscent of those in the Sistine Chapel in Rome. 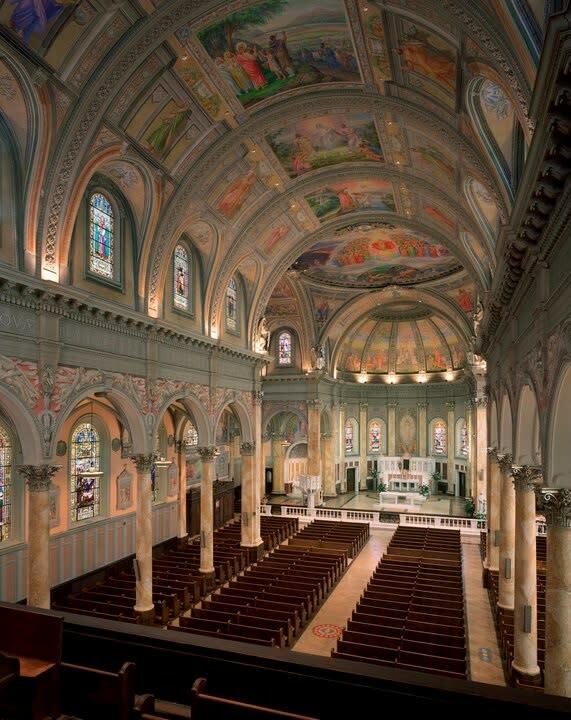 When the Diocese closed and sold off St. Ann's Roman Catholic Church in 2000, former parishioners worked with art lovers to step in and save the building that had been a second home to so many poor French Canadian immigrants and mill workers since the early 1900s. In the 1940s, an Italian artist, Guido Nincheri, used members of the the parish and community as his models to create the largest collection of fresco paintings in North America. 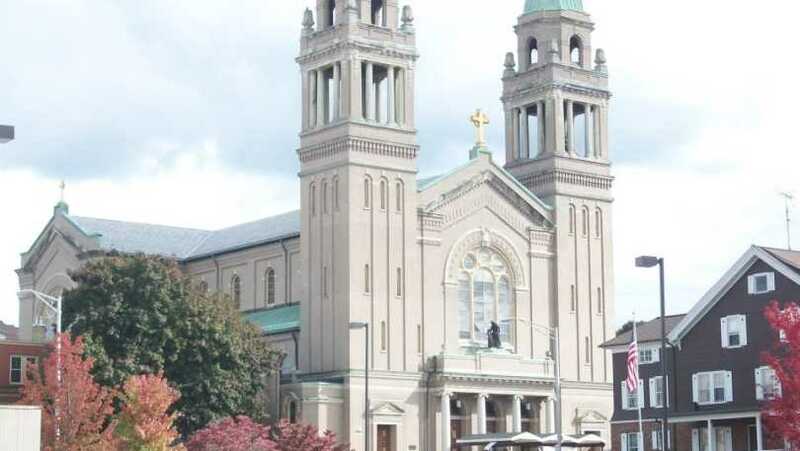 In the year 2000, the Diocese of Providence announced it would close St. Ann's Church due to a dwindling number of parishioners and rising maintenance costs of the building. In fear that this artistic and historic landmark building might be destroyed, a small but determined group of concerned individuals formed to save the building. In the process they incorporated as the St. Ann Arts & Cultural Center. They then began to lease the building from the Diocese. After six years of leasing the building to the organization for its use, in September, 2007 the Diocese of Providence turned ownership of the building over to the nonprofit group for its permanent use as an arts and cultural center. From its inception, the Center has been a valuable resource to the surrounding communities. 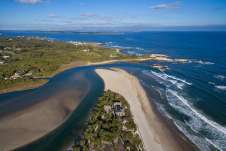 Today it continues to expand its programming and offerings to the public, while striving to preserve and maintain this impressive and beautiful national historic landmark. The St Ann Arts and Cultural Center runs solely on Volunteers. There are no paid staff.